It’s beginning to feel a lot like Christmas. And maybe that’s a clichéd expression, but with the frenzy of Black Friday shopping and cyber Monday not too far behind me, I believe the holiday season has officially begun. Thanks to 97.1 F.M., I can officially begin to prematurely enjoy the tune of “Winter Wonderland” in the morning and sing along to “The Christmas Song (Chestnuts Roasting on an Open Fire)” as I rinse the dishes at night. Listening to popular Christmas songs weeks in advance of the holiday puts me in a perpetually cheerful mood. I’m Jewish, so my Christmas usually consists of Chinese food and “Mr. Magoo’s Christmas Carol” with my family, but tuning in to Christmas carols and festive pop songs is just another way of participating in the winter joy for me. 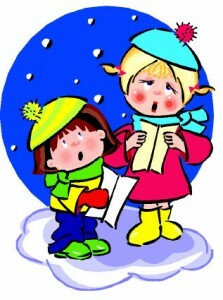 Holiday music also signals a departure from the bright hues of autumn leaves to the glorious white of fresh snow. December is a season of gratitude and joy, and the seasonal music simply reminds me to appreciate the non-material things in life. Unlike the sparse tunes floating about YouTube concerning Hanukkah — like the recent “Candlelight,” a parody of Taio Cruz’s “Dynamite” — Christmas carols are commonly known, sung and played. In a season of giving and receiving, they’re another form of spreading cheer and taking part in something with others. So to any nay-saying scrooges of premature Christmas music, I say, “Bah, humbug.” Let the Christmas cheer spread early, as it does every year. After all, holiday selections only reiterate the spirit of the season. I have come to hate christmas songs. They always start playing in November, and never seem to go away.